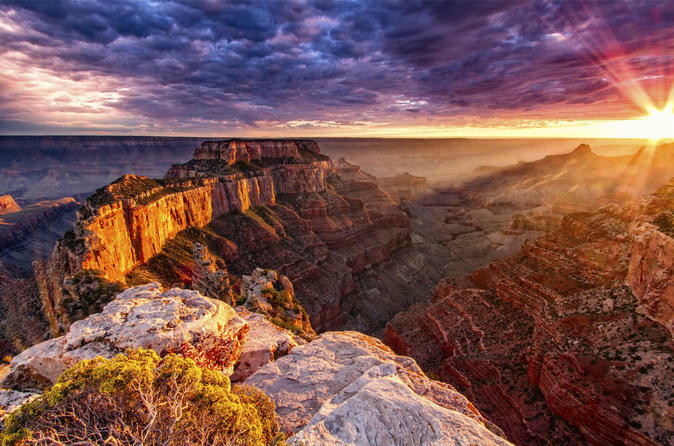 Your local expert and driver will pick you up and drive you to Grand Canyon in a private 10-hour tour to visit the famous skywalk overlooking millions of years of geological history and wildlife. Book a private custom tour in a nice sedan (up to 3 people) or SUV (up to 5) or Limousine SUV (6 or 8 people) to get a tailored itinerary and experience all the major spots of Grand Canyon, including pickup and drop off at your Hotel in Las Vegas. Visit the famous skywalk overlooking millions of years of geological history and wildlife. While enjoying the desert beauty returning from this natural spectacle, you will also stop at the magnificent Hoover Dam. As part of our numerous Las Vegas transportation services, this limo tour takes you away and gives you a broad view of the contrast between civilization and the natural beauty of the American Southwest. The Skywalk, managed by the Hualapai Tribe and located on tribal lands, consists of a horseshoe shaped steel frame with glass floor and sides that projects about 70 feet from the canyon rim. This is a Premium Service, all vehicles are equipped with air conditioning, Wi-Fi, cold water and Champagne*(*Available only for 6 & 8 passengers Limo Luxury Service). The service will be carried in a comfortable and luxury vehicle choosing between a Chrysler 300 FX8 Sedan or a Cadillac Escalade Limo SUV (5, 6 or 8 passengers).